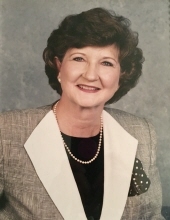 DURHAM: Josephine Garner Forkner, 85, passed away Sunday, January 27, 2019 at Hock Family Pavilion. Born in Moore County, NC, Mrs. Forkner was the daughter of the late Riley Blake Garner and Lillie Ann Moore Garner. She was also preceded in death by her husband, H. Samuel Forkner; brothers, Henry Douglas Garner, Jesse E. Garner, Daniel Lee Garner; and sisters, Derothea “Ishe” Lucy Garner Allred, Sally Ann Garner Britt Hussey, Mary Evelyn Garner Mohagen, and Clara Belle Garner Harrelson. Mrs. Forkner retired after 25 years at Duke Medical Center Dept. of Pathology. She was a member of Ridgecrest Baptist Church and the Agape Bible Class where she cherished many friendships, and she was a member of the Bahama Chapter of Eastern Star. Mrs. Forkner volunteered at Duke Cancer Center, was an avid flower gardener, bird watcher and loved the outdoors. She loved spending time at her farm, Buffalo Acres in Moore Co., and her passion was her family especially her grandchildren. Surviving are her daughters, Patricia Lynn Forkner Bright and husband Jeff, and Scarlett Lois Forkner Oakley and husband H. Lowell, Jr.; grandchildren, Joshua William Bright, Jordan Bright Nordh and husband Glenn, Harry Lowell Oakley III and Lydia Nicole Oakley; great-grandchildren, Alexandra Brighton Nordh and Nicklas Alrik Nordh; and a sister, Velma Jessup. A memorial service will be conducted at 2 p.m. on Wednesday at Clements Funeral Home, Durham, with Dr. Marc Francis officiating. The family will receive friends from 12 to 2 p.m. at Clements Funeral Home, Durham. A private family interment will be held at a later date. In lieu of flowers, memorial contributions may be made to Duke HomeCare & Hospice, Office of Development, 4321 Medical Park Drive, Suite 101, Durham, NC 27704. To send flowers or a remembrance gift to the family of Josephine Garner Forkner, please visit our Tribute Store. "Email Address" would like to share the life celebration of Josephine Garner Forkner. Click on the "link" to go to share a favorite memory or leave a condolence message for the family.